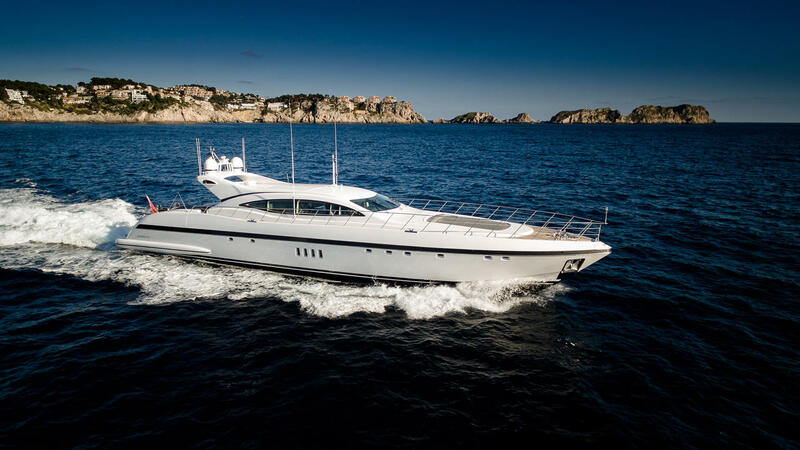 Measuring 33,48m (109’10’’) motor yacht VEYRON (ex KOMOCHIII) was built by the Italian shipyard Mangusta (Overmarine) and launched in 2013. 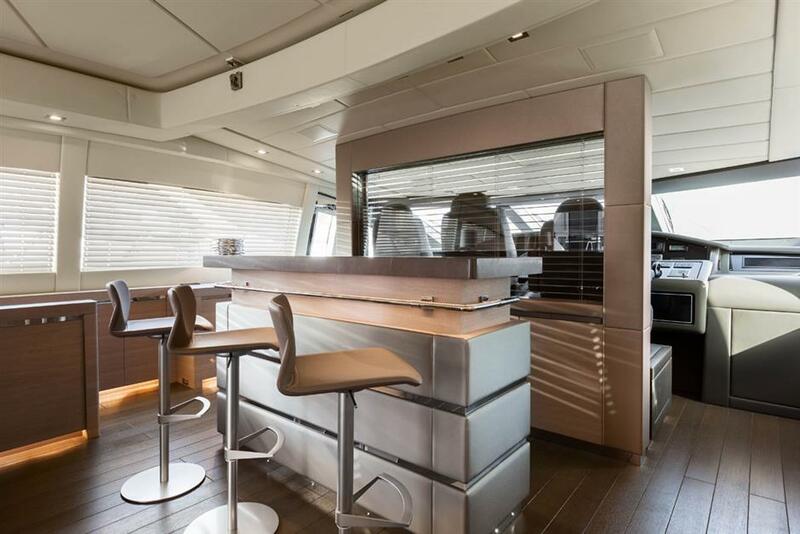 Her naval architecture was developed by Andrea Bacigalupo with interiors created by Stefano Righini design. 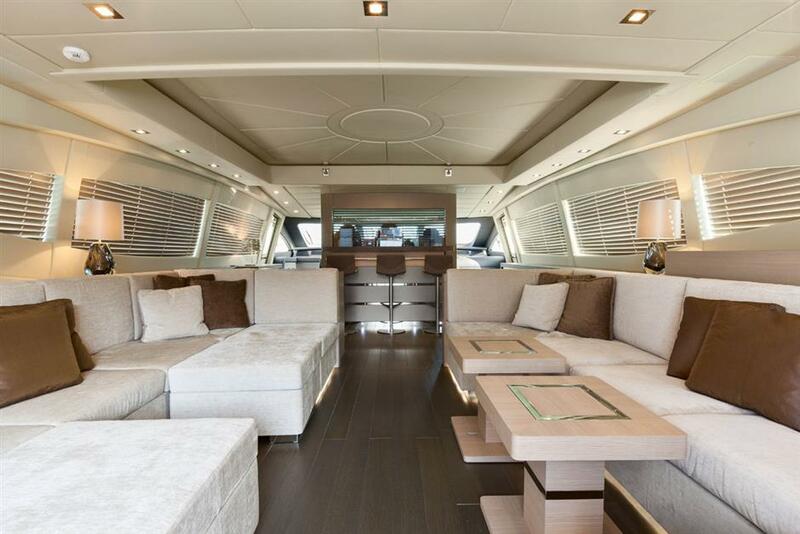 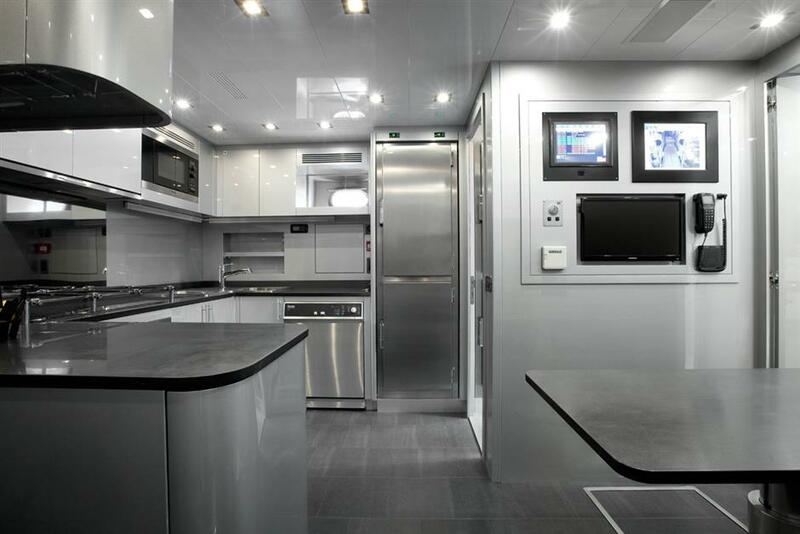 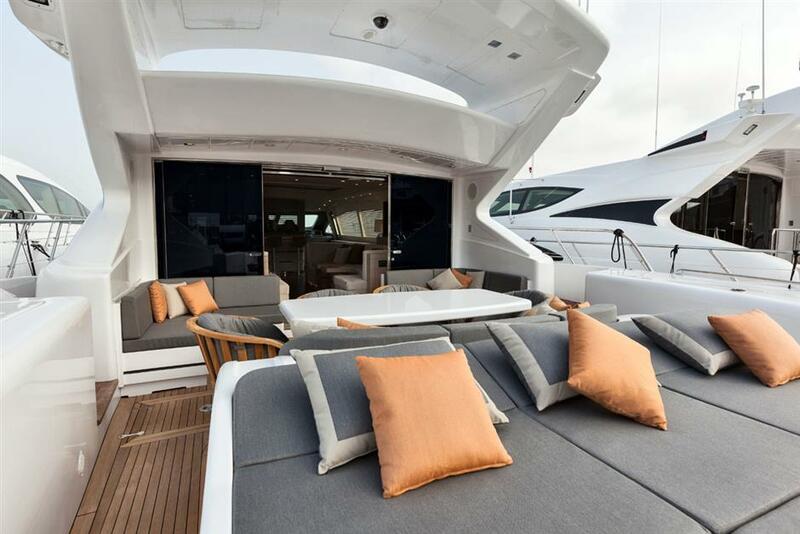 VEYRON sleep up to nine guests in four cabins and has a crew of 4. 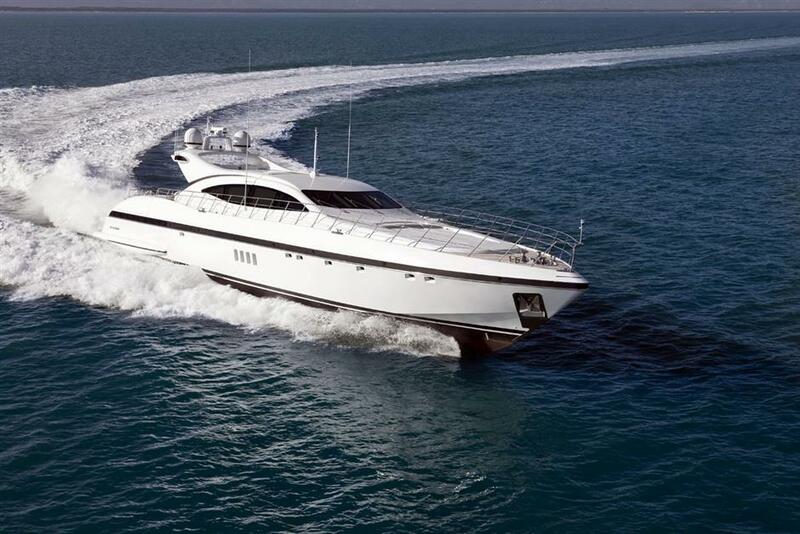 VEYRON is fitted with two MTU 2,600 hp engines reaching a top speed of 31 knots while cruising at 28 knots. 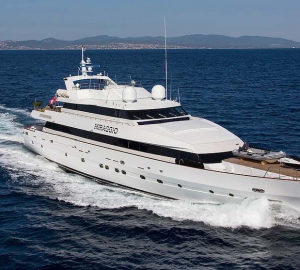 She has a range of 420 nautical miles. 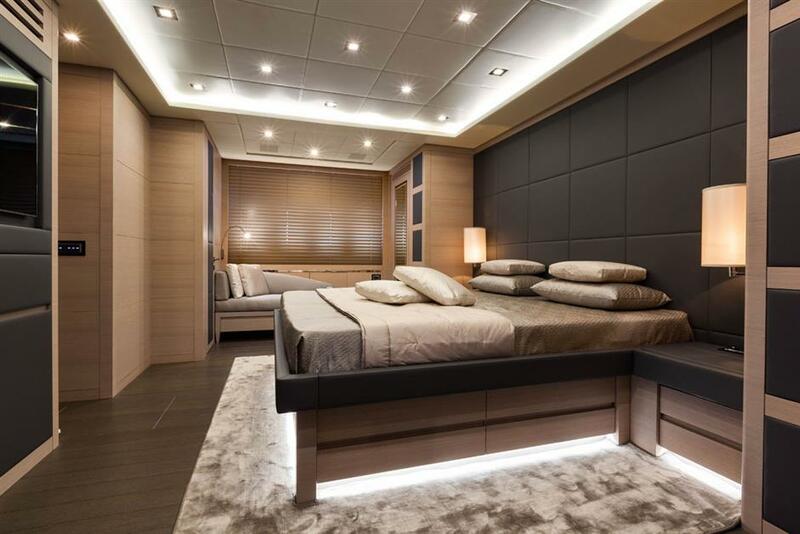 Accommodation is provided in four cabins, including one master stateroom with king-sized bed, wardrobes and bathroom with shower/sauna. 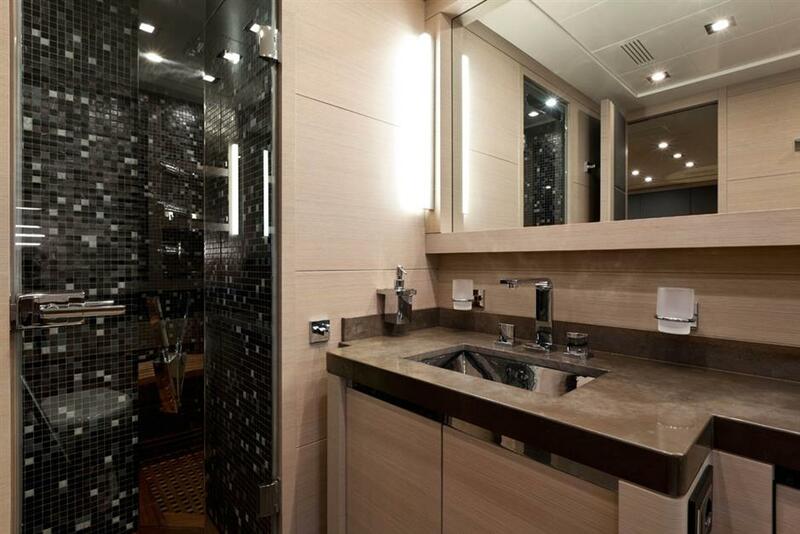 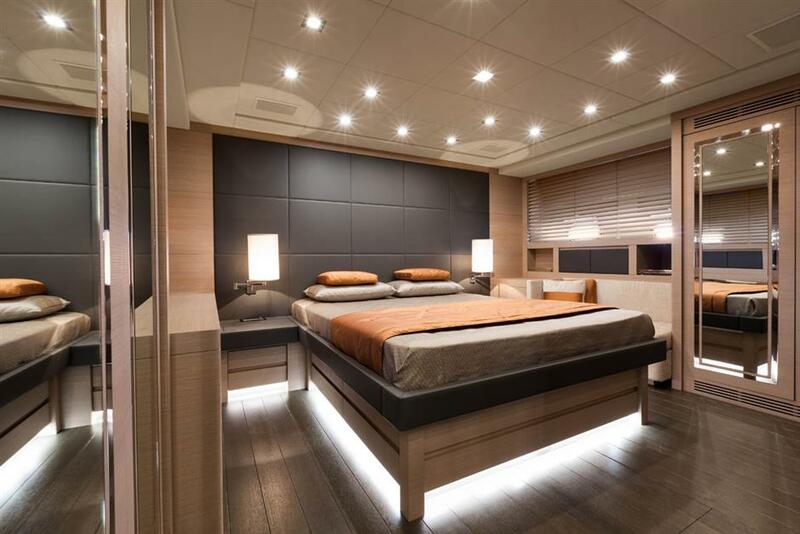 The VIP stateroom has a queen bed, wardrobes and an ensuite bathroom with shower. 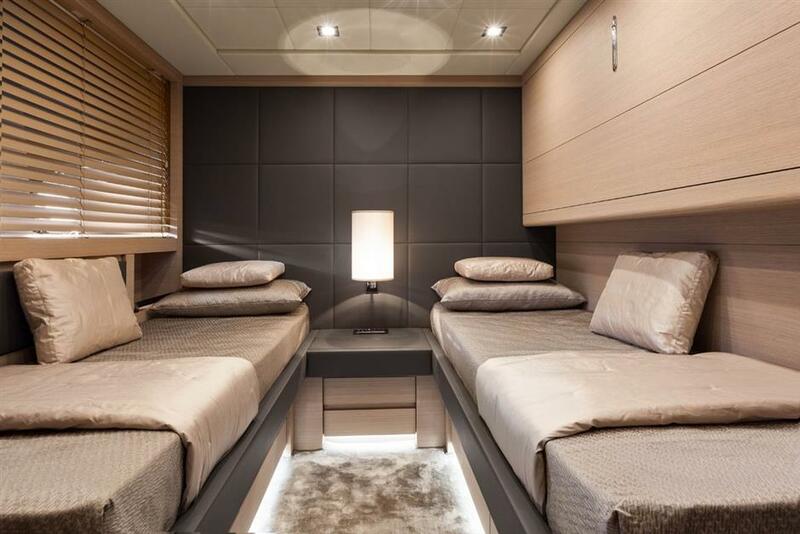 There is also one double-bedded guest cab with wardrobe and an ensuite shower, as well as one twin cabin with two single beds and one Pullman, with wardrobe and ensuite bathroom with shower.